Barefoot Becky and the Ivanhoe Dutchmen performing Religious Music! 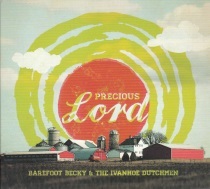 Barefoot Becky and the Ivanhoe Dutchmen have performed throughout the USA and more for over two decades. Enjoy this religious CD in which Barefoot Becky is featured on vocals. Check out this CD today!